Every now and again I get stuck in this rut of comparison. It isn't always that bad, and in fact sometimes it motivates me to do better with my blog, my schoolwork, or my creativity. Other times it leads to jealousy or I end up doubting myself, which is no fun. I'm sure a few of you have been there, or are maybe struggling with it right now. I'll be completely honest, when 5 (yes, 5!) of your close friends are planning their weddings for the months leading up to yours, it can be hard not to get jealous or at least compare your ideas and decor to theirs. It stinks. And no, I'm in no way saying that I'm not happy for my friends, because I truly am! But I've never really been one to have a lot of money, so it's hard to make ends meet and have the wedding of your dreams at the same time. So yes, sometimes I see a venue or hear about really cute favors and think "wow, I really wish I could afford that..." and then I feel terrible because it isn't really about the venue or the favors. It's about celebrating Mark and I's love and union together and it's about the wonderful marriage afterwards. Sometimes I can really see how much growing up I have to do. 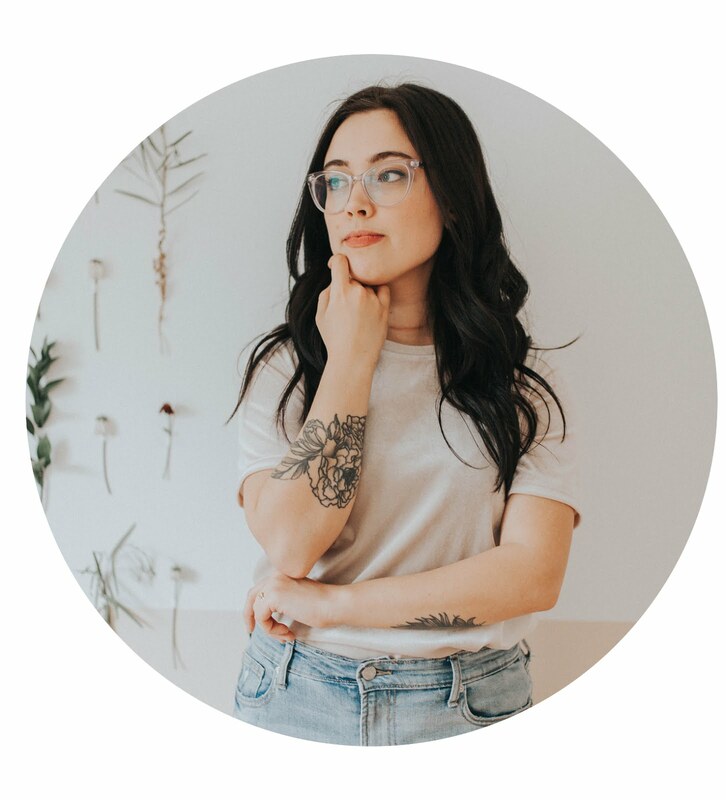 Lately I've been trying to avoid comparing myself to others, my blog to other blogs, and my wedding plans to how I think they should look like. Then something dawned on me. Competition and comparison aren't always terrible things. They can definitely lead to jealousy and self-doubt, but what if we looked at these a little differently? What if we used them for motivation instead of downfalls? 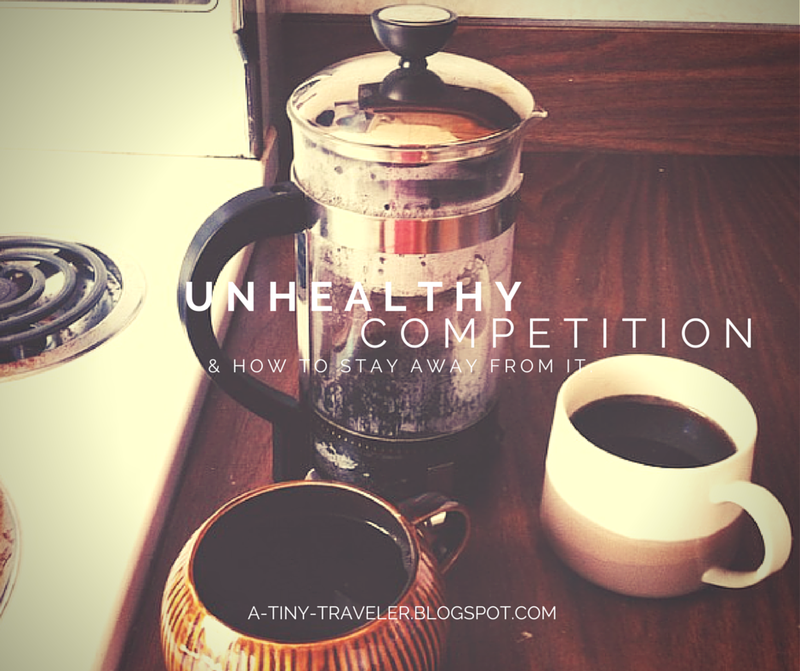 So lets talk about unhealthy competition and how to stay away from it by listing a few ways you can benefit from those tendencies toward comparison. First, when I start to compare myself or my ideas or my blog to what others are doing and creating, I talk down on myself. "Natalie, why do you even bother?" "Look how successful they are! I'm trying but no one seems interested." "How in the world can I ever expect to gain traffic and readers when I have that to compete with?" Stop the negativity towards yourself and your work. If you are doing what you love, wearing what you love, creating what you love, then you have no reason to be talking down on yourself. If you know that your content could be a bit better, then think about ways to improve instead of wasting time looking at all the flaws you think there may be. It saves you from feeling crumby and gets you moving towards improvement when you cut out negative self-talk all together. Repeat after me: "I am a smart, creative, confident person." Next, think about what it is you're comparing. Is there a competition you can gain from, or is it just "Who has more followers?" If there is an element like page tabs, clean images, or social media icons on a blog you love and you don't have those, get them! There are plenty of tutorials on how to obtain better images and cooler graphics online. There is no need to sit and complain that your blog doesn't have a certain element when installing one is right at your fingertips! Below I have a list of my favorite tutorials for blogs (and yes I'm still learning too) and different fun things you can use to spruce up your website. Finally, after you stop the negative self-talk and you freshen up your blog a little (if need be) then take a few hours just doing something you love. Take a little time to enjoy yourself! Read a book, take a bath, go for a walk, watch a movie, write a letter to a friend. Taking time to enjoy yourself is one of the best ways to unwind and get your creative thoughts moving. Then make a list of things that you want to get better at, whether that is vlogging, photography, or posting on a more consistent basis. Then start practicing that until you feel comfortable and see growth! Bottom line is this: don't get jealous or sit and complain about a, b, and c. Get up and use your competition as a push towards improvement. Let the competition be healthy. Let's face it, the online world can be a competitive one but staying positive and constantly trying to do your best and learn how to get better will do wonders! Fun Fonts and Words to Add to Blog Posts! Check out this site to make cool graphics like the one in this post! Weddings do seem to bring out a class of comparison that nothing else does. It takes courage to admit when you are having thoughts that your life/ wedding/ blog isn't like someone else's. Even more inspiring is how you are rising up in the midst of this. So glad I stumbled across you on bloglovin. Self-talk is a topic we preach about a lot and you're totally right - a lot of it stems from comparison bashing. I'm happy to see you save a special place for healthy competition because it can be totally motivating in a positively productive way! I FEEL YOU, NATALIE. I so feel you. I've learned that gratitude is the antidote and to be supportive of others is better than putting them down in my mind (which is unhealthy and so un-Christlike). I love the quote about not comparing your beginning to someone else's middle. It's so true. You don't know where someone else is at in their pursuits and you can't be jealous about not being in that same place. We all have journeys and we're taking different steps to get where we n eed to be. I find it damn near impossible to put a stop to the negativity towards myself. This is a daily struggle of mine. Thank you Shauna! Welcome to A Tiny Traveler! Amen! I totally agree Patricia :) Hope wedding plans are going well! So true. Everyone is at a different place in life so comparison really only makes you feel worse about things. I'm so glad that it spoke to you! 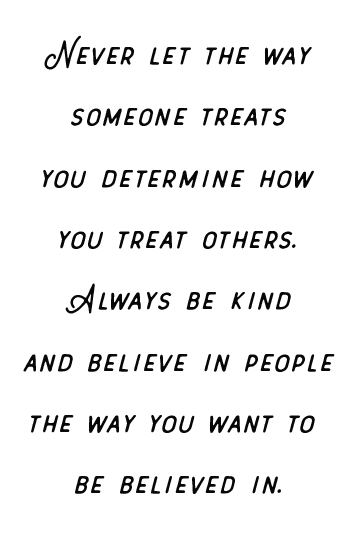 It's something that I feel like I revisit every few weeks and have to check my attitude and thoughts and make sure I'm not complaining or comparing myself to others. It's hard to balance sometimes but you're right. There is a need that we must meet! Praying for you Lindsay! Hoping things will look up soon! I admire your courage for openly discussing an issue we ALL struggle with, particularly in the blogosphere, and your positive approach to dealing with negativity. There is always so much we can do to improve our little corners of the web. It's overwhelming to consider it all. I really like your suggest to take a break (we bloggers aren't known for those) and do something enjoyable, rather than sit and obsess over all the flaws and work to be done. Excellent post, Natalie! So right you are. We should focus our energies on what we are doing and take plenty to time off to enjoy what we have already. Thank you Liz! Yeah taking a break is hard but it can be really necessary + helpful sometimes!